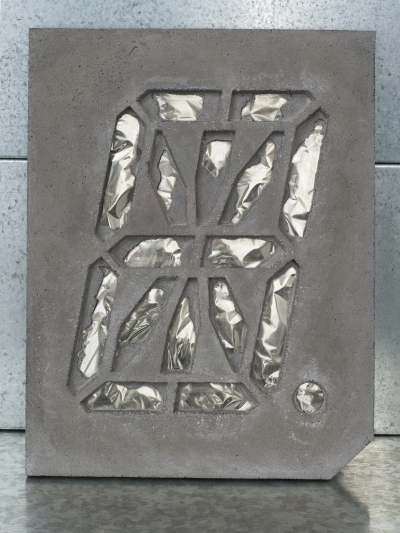 Concrete, acrylic paint, synthetic mesh and two-way mirror film. "7-segment LED displays were developed to display digits 0 to 9. Think of old school alarm clocks and their red digits. The 16-segment display adds another 9 LED lines to enable the representation of letters as well as numbers. Information is transmitted by dynamically lighting different combinations of the various segments to form recognisable alphanumeric characters. 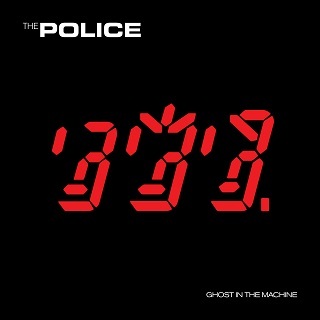 I first encountered 16-segment displays in 1981 when they appeared on the cover of the album Ghost in the Machine by British New Wave band The Police. It turned out that the images had actually been generated by the designer to resemble 16-segment displays. Still, it was quite a shock to see those red diagonals."